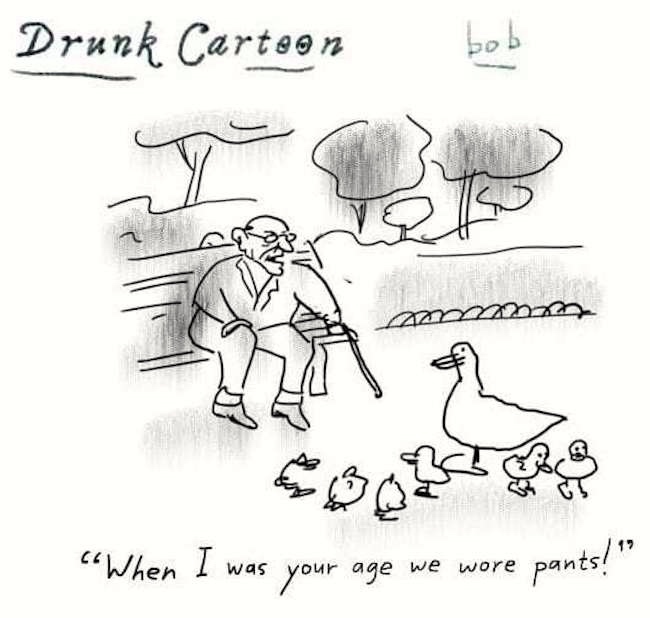 Your first inclination will be to understand drunk cartoon as a Topic N + N compound, meaning (roughly) ‘cartoon about drunks’ (cf. psychiatrist cartoon, caveman cartoon, etc.) — in which case, you’ll be trying to figure out what the old drunk on the park bench sees in the duck. Donald Duck? But Donald doesn’t wear pants — just a sailor shirt and cap. Mickey’s the one in pants. Puzzlement. 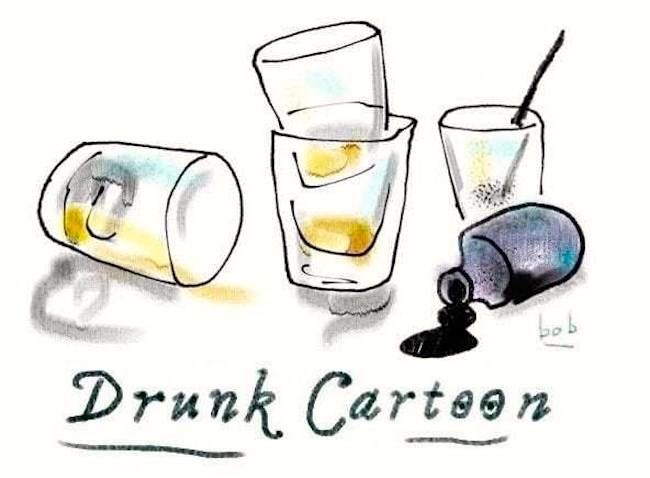 Instead, drunk cartoon is intended as a Subject N + N compound, meaning (roughly) ‘cartoon by a drunk’ (cf. 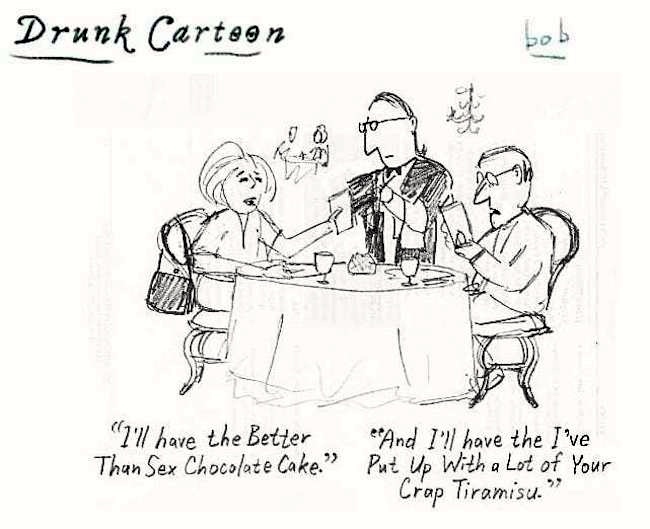 Thurber cartoon): a cartoon drawn by (what we are to imagine as) a drunken Bob Eckstein. So we’re in a somewhat surreal world. This entry was posted on June 14, 2018 at 10:31 am and is filed under Compounds, Linguistics in the comics. You can follow any responses to this entry through the RSS 2.0 feed. You can leave a response, or trackback from your own site.